Embark with us on a beautiful tour through Andalusia and Madrid. In 7 days you will visit historic cities like Madrid, Cordoba and Sevilla. 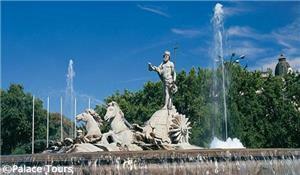 In the first days you will stay at a hotel in Madrid exploring the capital of Spain in guided tours and on your own. 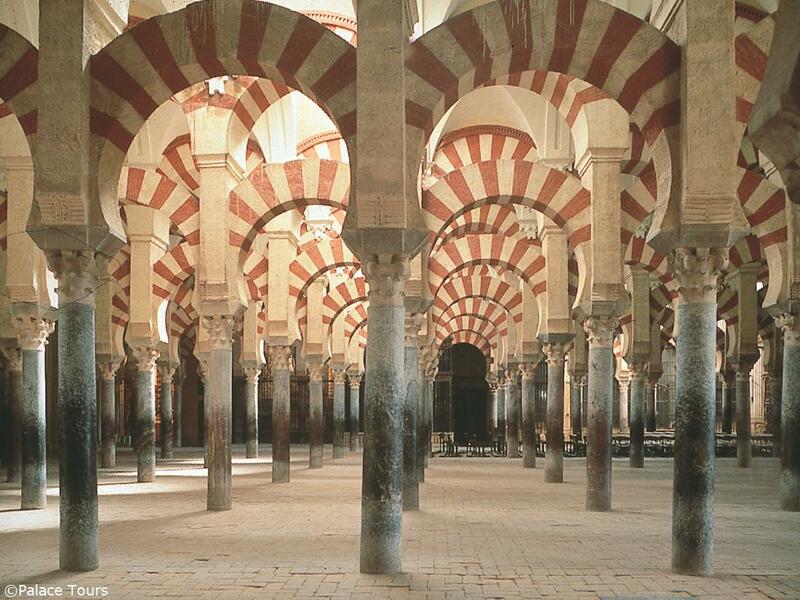 Another destination of this great tour is Cordoba, where you will visit the scenario of Don Quixote, Mosque and the Jewish Quarter. 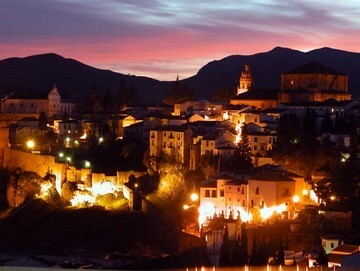 In the next couple days you will experience the beauty of Spain with visiting Granada and Toledo. Come with us and you don't have to stand in line to see all those historic sights. You will be aloud to bypass the crowd of tourists. 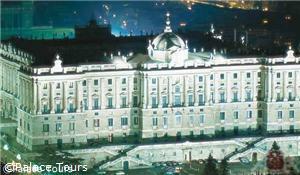 Arrive in Madrid and enjoy a welcome drink and orientation session at the hotel this evening . Accommodation at the hotel. Breakfast at the hotel. Morning city tour of Madrid; find the medieval origins of the city, like the Arabic fortress, at the Barrio de la Morería, famous for its historical buildings. Drive through the courtesan district of the Hapsburgs characterized by Phillip II and its Renaissance and Baroque style buildings, Puerta del Sol, Plaza Mayor and Plaza de la Villa; the Madrid of the Bourbons and the complex town planning schemes of Charles III, the interior of the Royal Palace, Cibeles and Neptuno Fountains and the Puerta de Alcalá. Admire the XIX C. works such as Prado Museum. The contemporary Madrid with areas such as Gran Vía, Castellana, the district of Salamanca, Plaza Castilla and Parque del Oeste, as well as commercial and financial areas of Modern Madrid, the emblematic Las Ventas Bullring and the Santiago Bernabéu Football Stadium. Balance of the day free to continue exploring the wonders that the city has to offer. Breakfast at the hotel. 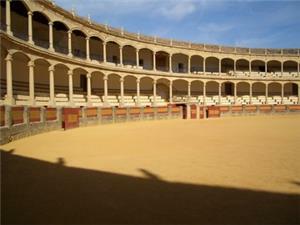 08:30 Pick up from your hotel and departure drive along La Mancha, Don Quixote’s land. Brief stop at typical site in Puerto Lapice. 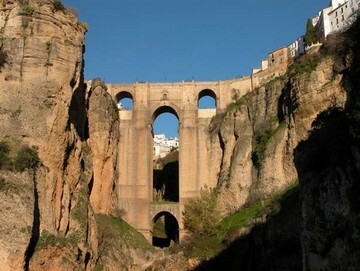 Cross through the natural border of “Despeñaperros” and get into Andalusia, a region for itself that shows an enormous heritage from a splendorous past. Reach Cordoba. Impressive tour of its Mosque and other sites that will ease our mind and spirit strolling through its narrow winding streets of the Jewish Quarter. In the afternoon, after a short two hours ride reach Seville. Dinner and accommodation at the hotel. Breakfast at the hotel. 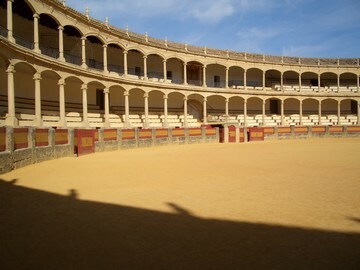 Morning Monumental and Panoramic city tour: the interior of the Cathedral (the second largest in the Catholic world after St. Peters in Rome), Santa Cruz quarter (a natural scenario of “Carmen” as well as a precisely where the myth of “Don Juan” developed), Maria Luisa Park and Plaza de España. Afternoon at leisure for you to discover exclusive views, specific flavours of this active full of light city. Dinner and accommodation at the hotel. Optional Flamenco tour. After breakfast at the hotel drive east through the Caliphate road to the heart of Andalusia observing an endless number of olive trees on the way to Granada and its incredible and amazing monumental environment, last stronghold of the Moorish Kingdoms up to 1492. 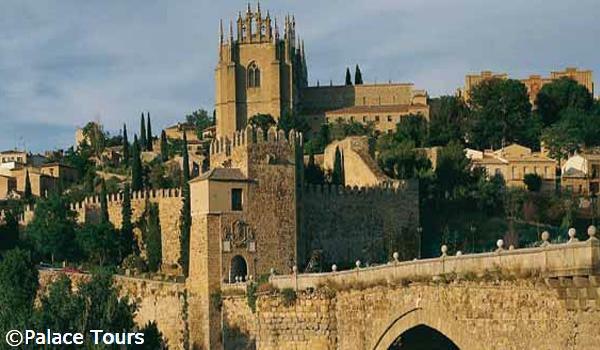 Visit the world famous Alhambra Complex and Generalife Gardensthat have inspired several authors with its sound and sights, such as the “Tales of the Alhambra” by W. Irving. Dinner and accommodation at the hotel. Optional Gipsy Flamenco show at Sacromonte quarter. Enjoy your breakfast at the hotel and get ready to check out. Your tour ends today upon checkout.